These charts show body measurements for you to determine approximate size. Note that our ladies size XL is 18/20, and our 1X is 22/24. See each item for individual measurements. See below for fitting tip photos. Ladies Small is 6/8, Medium is 10/12, Large is 14/16, XL is 18/20, 1X is 22/24, 2X is 26/28, 3X is 30/32. If you are smaller than a Small or you don't fit in a certain size, please email us with your measurements and what items you are interested in, and we will advise you on the right size to order. 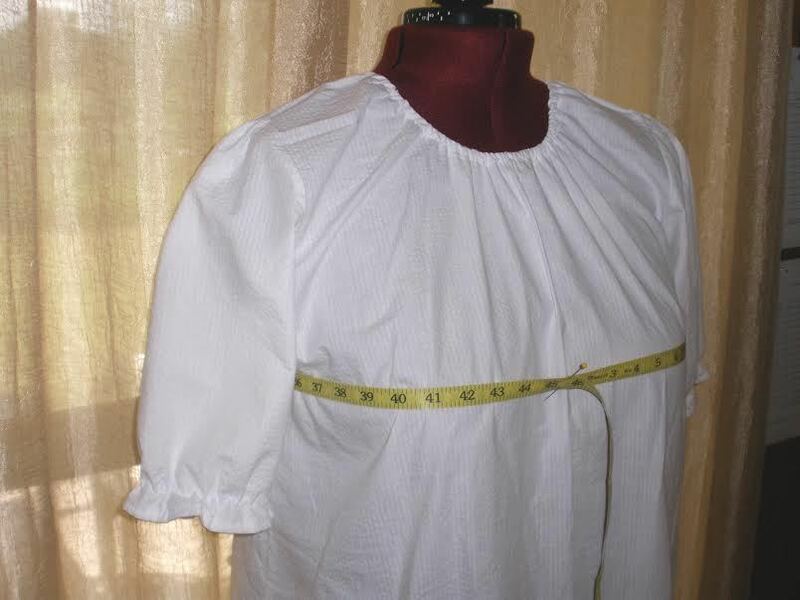 Most of the time the first 3 measurements below, plus length of garment, will be enough to figure out the right size, but sometimes you might want to adjust other parts of the garments and send us a desired finished measurement for a certain place based upon a garment you own that is similar.